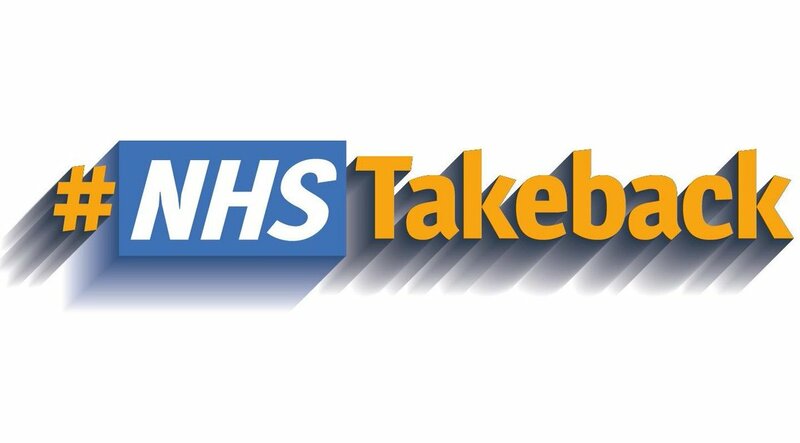 Take action against NHS privatisation – ask your MP to sign up to the #NHSTakeback – a great new initiative from We Own It. Find out more – and ask your MP to sign the pledge – here. *Who is supporting #NHSTakeback? #NHSTakeback is supported by the Campaign for the Reinstatement Bill, Health Campaigns Together, Keep Our NHS Public, Doctors for the NHS, the Socialist Health Association and the NHS Support Federation. If you know other organisations who might want to sign up, please ask them to get in touch. Are you convinced your MP won’t sign up? Please try them anyway. It was probably Conservative MPs that swung it with the NHS Professionals campaign, and we can learn a lot from the responses of different MPs. Are you in Scotland, Wales or Northern Ireland? Please write to your MP. SNP MPs are all behind the Reinstatement Bill already and we’d like them to support the pledge too. We need your solidarity. Plus, NHS policy in England can spread throughout the UK and funding levels in England affect funding elsewhere too – so we’re all connected. Is the pledge the same as the Reinstatement Bill? No. The Reinstatement Bill is a comprehensive plan for legislation that would take back our NHS. The pledge has 5 key principles for a public NHS – it reflects the demands in the Bill but it’s much simpler. If MPs sign up to the pledge, they’re not signing up to the Bill. But they might want to sign up to both, because the Bill is the best way of putting the pledge into action.